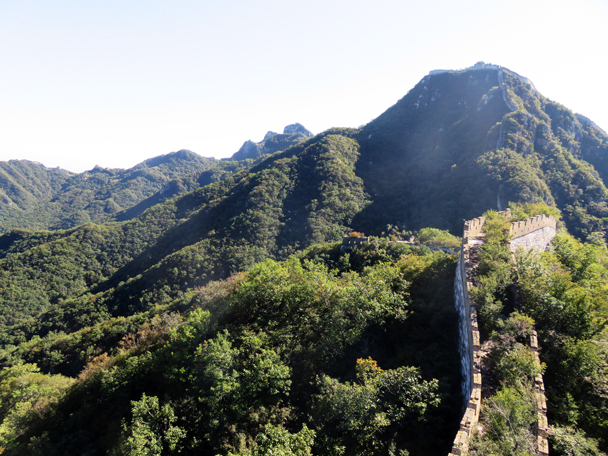 In Brief: Nineteen photos from Jiankou’s ‘Big West’ Wall on a beautiful September day. 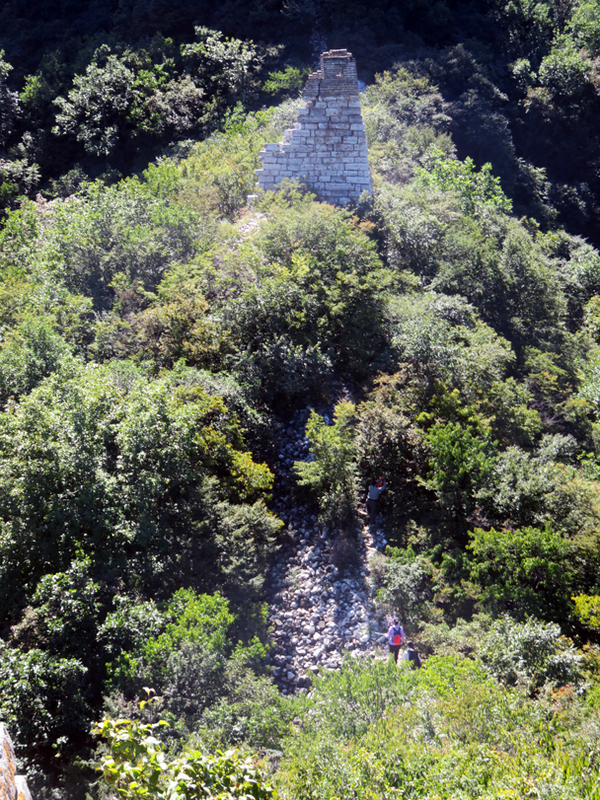 Rough, ruined Great Wall at Jiankou. 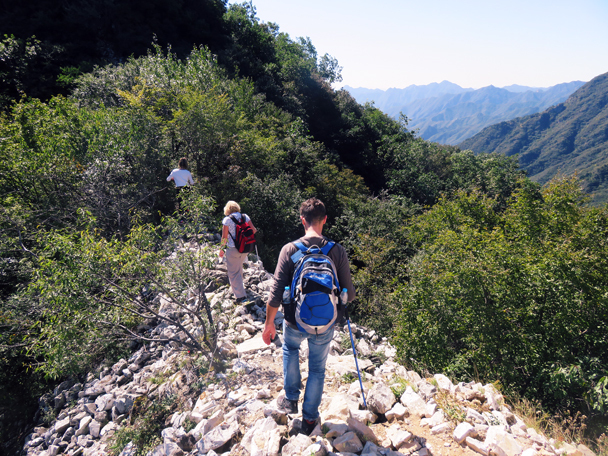 The Jiankou section of the Great wall is on of our favourite places to hike for two reasons: the views are impressive and the area is seldom visited. 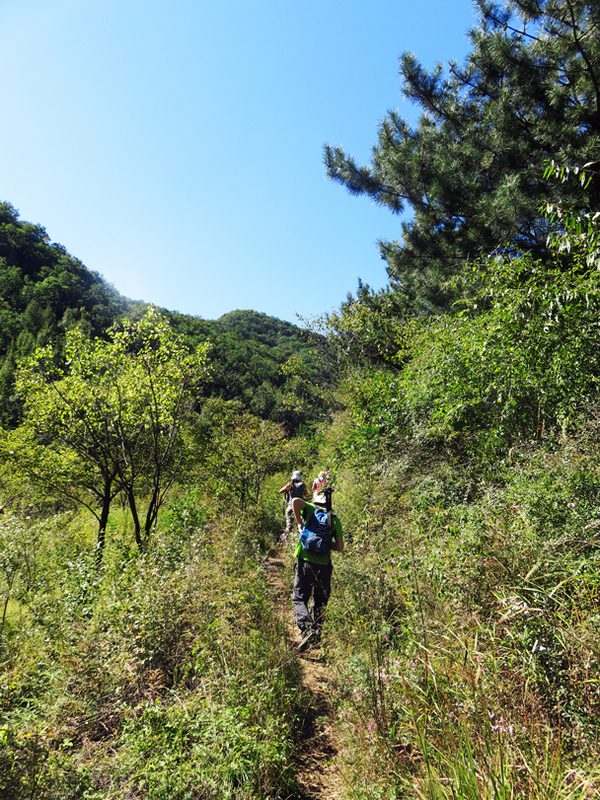 On this hike we had clear skies and a nice breeze to make for a fantastic day of hiking. 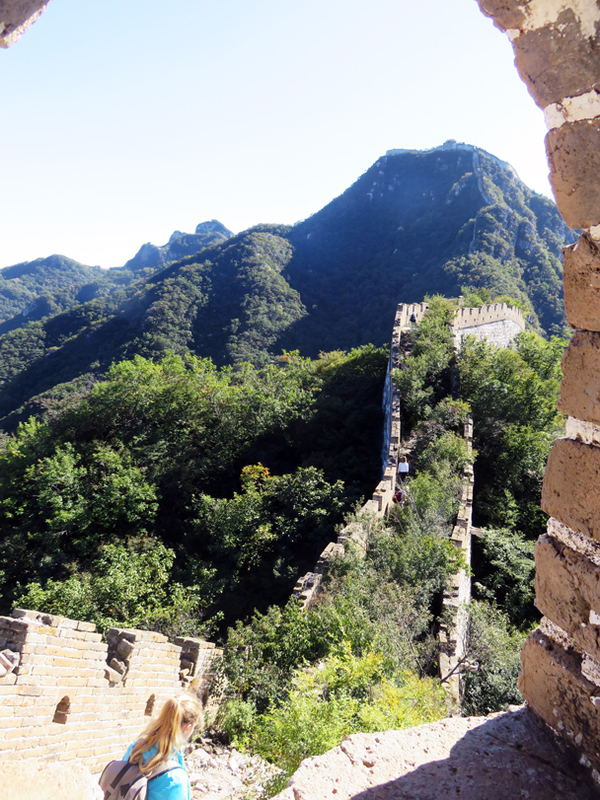 In this photo set you'll see shots from the trail that leads up to the wall, plus a lot of photos taken while on top of the Great Wall. 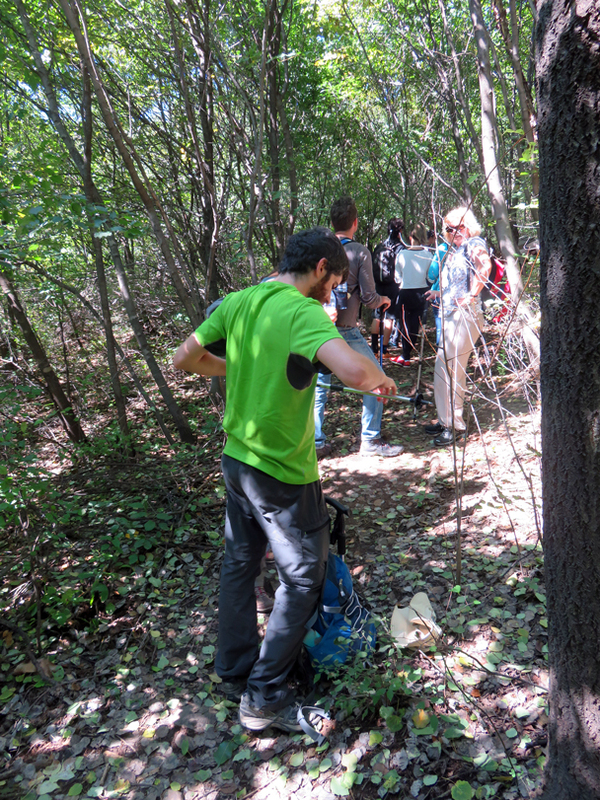 The hikers adjust their hiking sticks before the start of the hike. 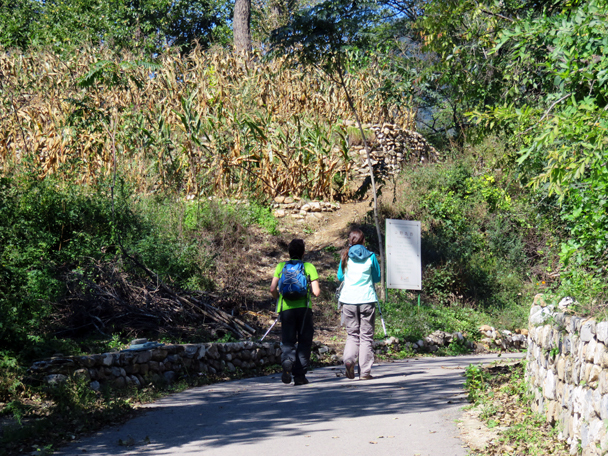 The trail winds around terraced fields of corn. 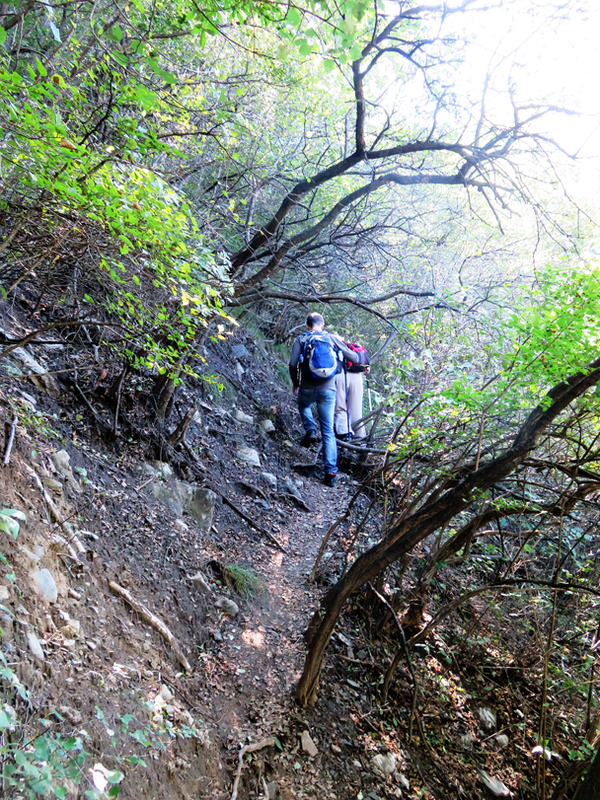 This hike starts with a gentle incline on a path that is surrounded by trees. 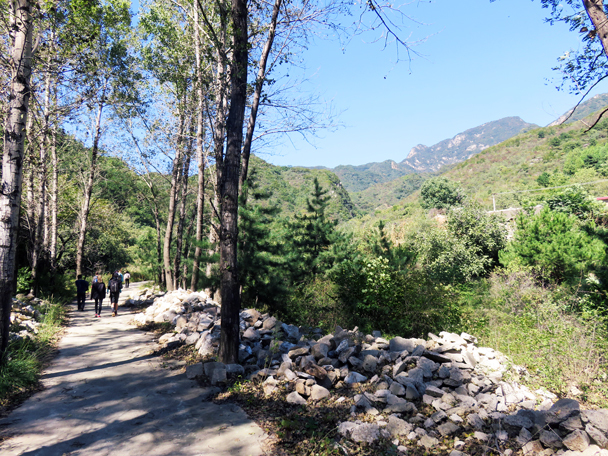 Heituo Mountain can be seen off in the distance. 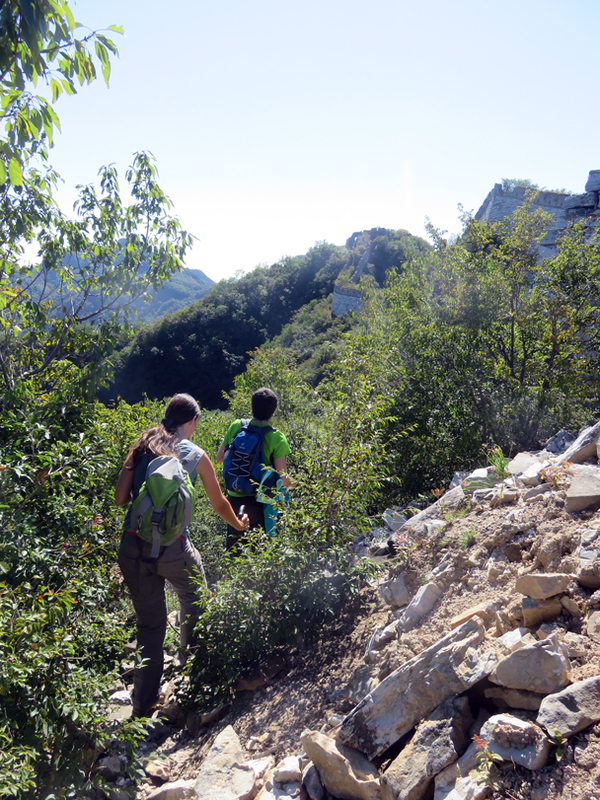 Hikers walk along a narrow trail that leads up to the wall. 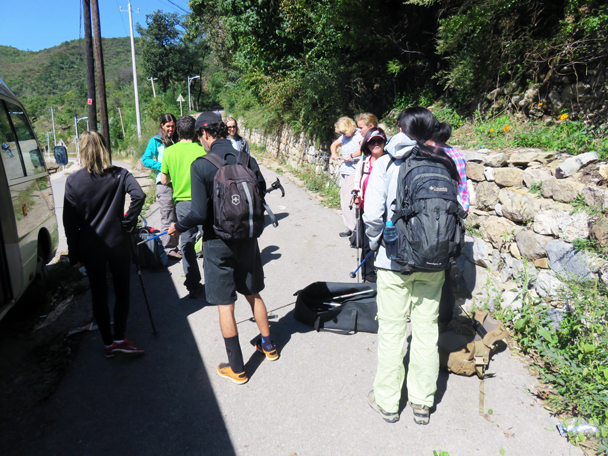 The group stops for a water break and makes adjustments to their equipment. 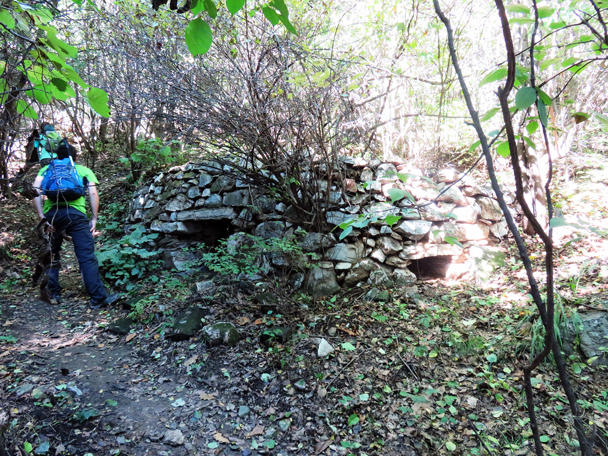 An old kiln that was used by villagers to make charcoal. 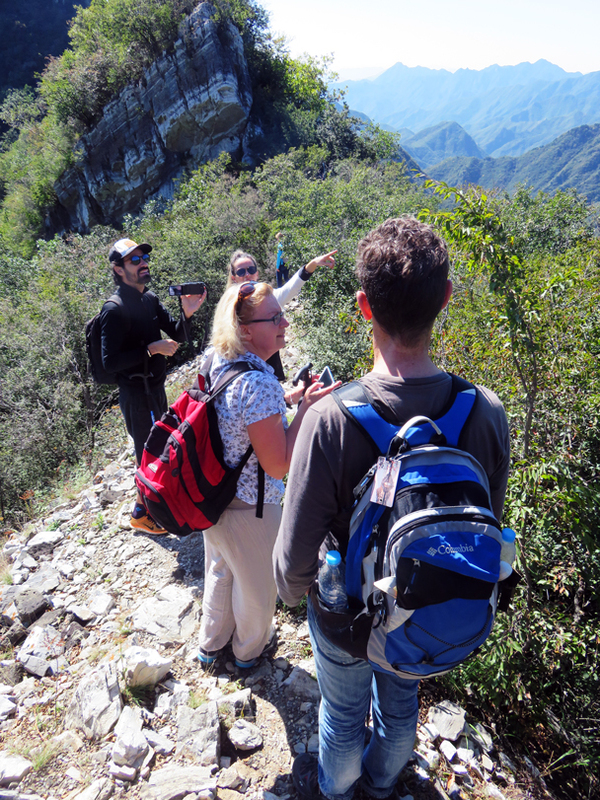 Hikers enjoying the scenery and point out things of interest. 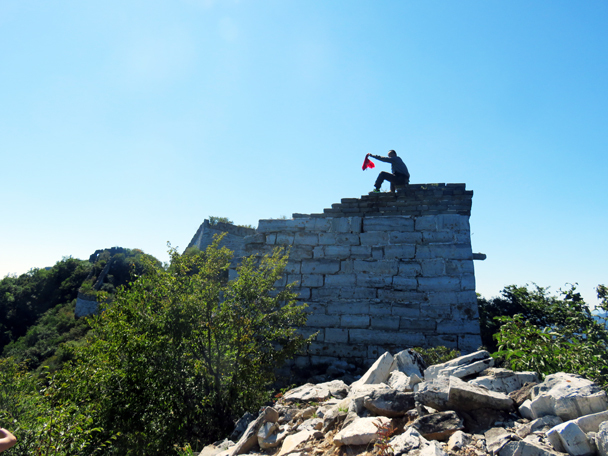 A hiker stands on the remains of the Great Wall as the group skirts around the cliffs ahead. 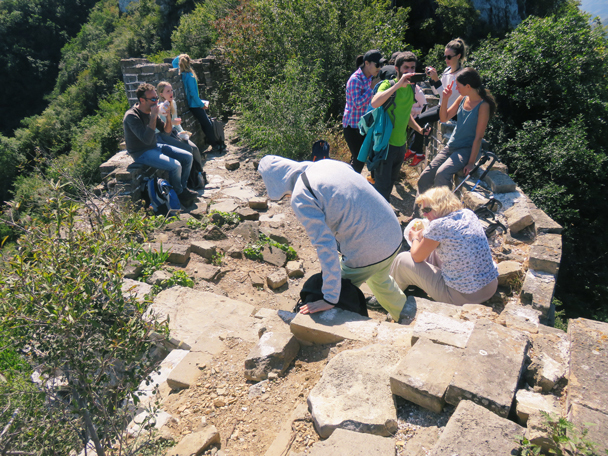 The group hikes on the wall and around a collapsed tower. 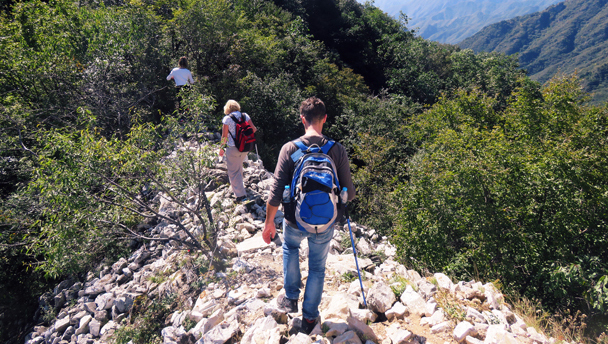 The hikers carefully watch their step. 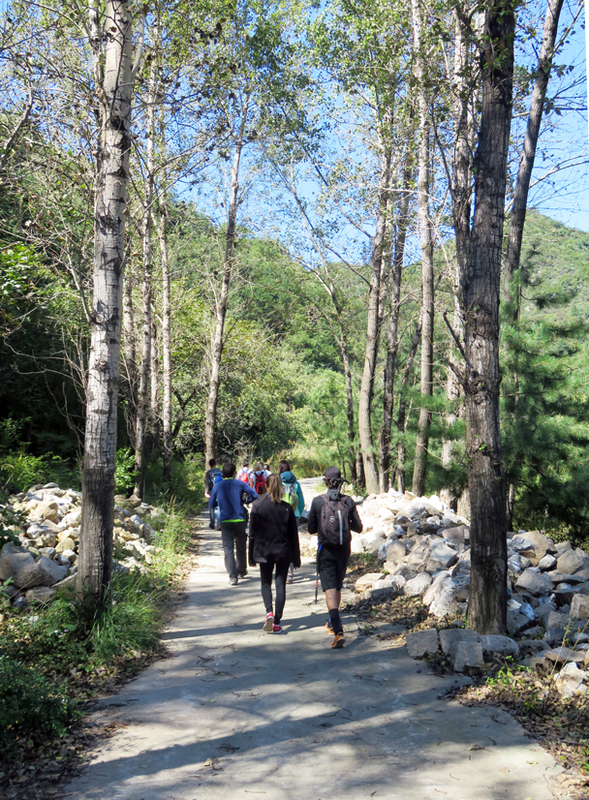 A narrow trail takes the hikers around the wall. Mr. He sits atop his favorite perch. A couple enjoys their first views of the wall. The group stops for a snack/photo break. 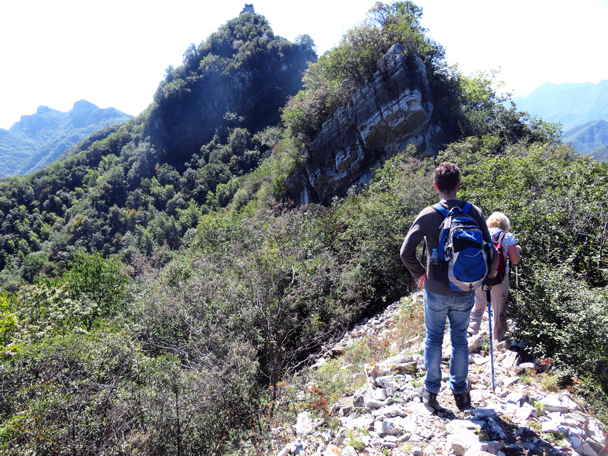 Hikers enjoy the beautiful clear day. A perfect day for pictures. The Chinese Knot stands above the hike’s end point. Hikers walk down the last section of wall of the hike. In Brief: 30+ photos from our Chinese New Year visit to Yu County—street performances, dashuhua, old towns and villages.